I've visited 100 places in France... and counting! FrenchEntrée > Community > I’ve visited 100 places in France… and counting! I’ve visited 100 places in France… and counting! Jane Dunning has reached a major milestone in her French travels. I’ve reached 100! Not the great age of 100, just one hundred places in France where I have stayed for a night or more. I first visited France in 1978, followed by a couple of trips to Corsica in the nineteen-eighties, and have been a regular visitor to France since 1990 for holidays or house-sitting. During that time, I’ve stayed in a hundred different places … from Paris to the tiniest hamlet in Limousin. A few years ago, a friend asked me how many places in France I’d stayed in. As I didn’t really know, I decided to jot down the names of all the towns and villages in the back of a notebook. I set myself the challenge to reach 100 before I become too old and decrepit to enjoy overseas travel so am very happy to have achieved my ambition well before I reach that state! My husband and I regularly drive, usually outside of high season, to the Riviera and also to the Mediterranean Pyrénées. Anyone who has driven from the north to the south of France (or vice-versa) will know how big France feels when undertaking that journey. To make it more bearable and part of the holiday, we find attractive places to stay on the way. This has certainly helped with our tally but we’ve also spent longer periods in Provence, the Pyrénées-Orientales and the Charente-Maritime. 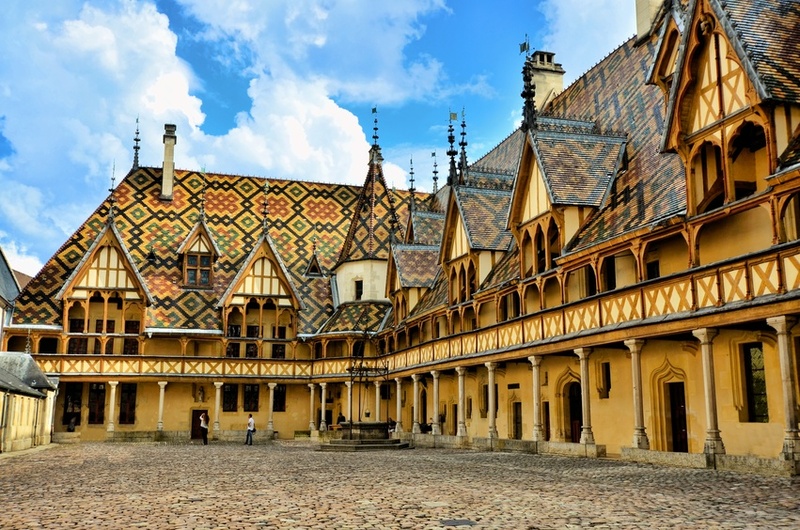 Our favourite stop-overs near to the Autoroute du Soleil are Auxerre, Beaune and Macon. We tend to choose smaller towns but have also stayed in Lyon on one occasion when the autoroute was closed due to a huge traffic jam. Our stay proved far more enjoyable than we expected as we found a hotel in the old town and enjoyed wandering by the rivers that flow through the city and having a meal in one of the many restaurants for which Lyon is so famous. 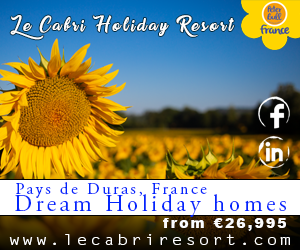 We sometimes have more than one stop-over which has given us the opportunity to stay, for a night or two, in places not far from the Riviera and have stayed in Avignon, Orange, St Remy–de-Provence, Aix-en-Provence and Nyons. A favourite, on the return journey, is Honfleur, on the coast of northern France, a small, picturesque port and such a contrast to ports on the Riviera. If we’re travelling to the Pyrénées-Orientales, we use the Brittany Ferries western Channel route of Portsmouth – St-Malo (a civilised choice as the ship leaves at 2015 most days and arrives at 0815 meaning there is time for dinner and breakfast on board and a reasonable night’s sleep in a comfortable cabin). We’ve had great stop-overs in La Rochelle, the Ile de Ré, St-Emilion, Fougères, Vitre, Albi, and St Palais-sur-Mer to name but a few. So if you find that you need to drive to the top or bottom or France, don’t rush it and enjoy a leisurely stop-over or two along the way. Jane’s first novel ‘Thirty-five minutes from St Tropez’ is available on Amazon Kindle. If you don’t have a Kindle, it is possible to download it to your laptop or tablet. Visit Jane’s Facebook page, where you will find information about my book together with photos many photos of France and the Riviera.